Don’t miss the Green Jeans pop-up sale this fall. Does your taste for designer goods exceed your budget? Then this fall is a good time to experience Green Jeans, the region’s best-known pop-up consignment sale for women’s clothes and home to crazy designer bargains. The sale was started in 2010 by sisters Cindy Williams and Dana Degan, who set up shop in an abandoned vacuum-cleaner store in Lake Norman. Now, the sale is five days at a time and has grown to include multiple locations each spring and fall. 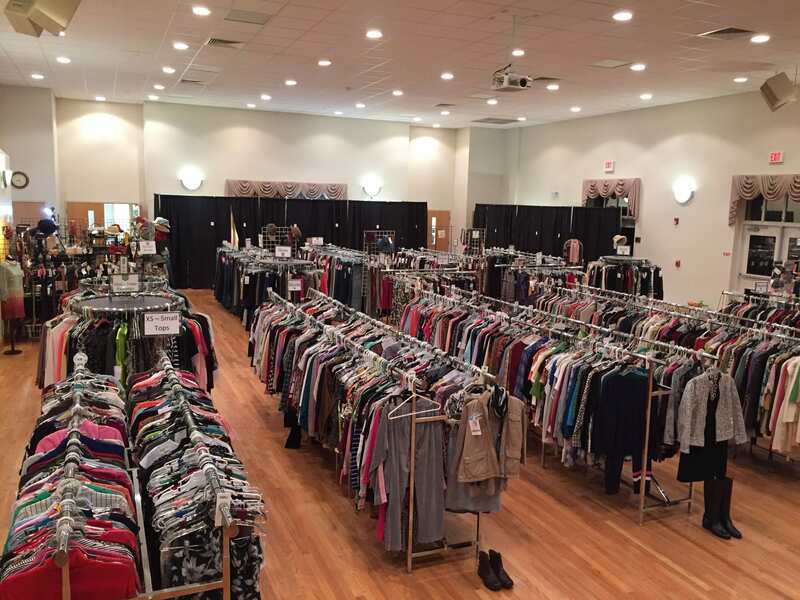 The fall sale is Sept. 12-17 in Matthews and moves to Lake Norman Oct. 24-29. At Green Jeans, it’s common to find never-worn items with their original price tags intact. Previous sales have included bargains such as a Coach purse for $7 and a pair of like-new boots spotted for $225 at Nordstrom but priced at $40. Degan loves a Tory Burch cross-body purse she picked up for $29. Other common name brands you’ll find include Chico’s, Lilly Pulitzer, and 7 For All Mankind. “We’ve scored designer denim for $15 and gorgeous designer brand dresses for less than $30, with tags still on them,” says Williams. Consignment is well known for being eco-friendly and reducing waste by giving clothes and accessories new life. But Green Jean’s twice-a-year pop-up model seems to offer a special incentive to clean out closets and sell the excess. Consignors earn at least 60 percent of the sale price on each item—or more if they volunteer to staff the sale for a shift or two.